CB9 was sued over the hiring of Carmen Martinez to be the board's district manager. CROWN HEIGHTS — A Brooklyn judge has voided the controversial hiring of a Crown Heights community board district manager after he ruled the 2016 decision was illegal. Judge Wayne Saitta ordered that the hiring of longtime area resident and Community Board 9 member Carmen Martinez was done without following the board’s by-laws for forming a search committee and without proper notification to the community about the administrative job opening and its $100,000-per-year salary. The ruling, which was signed on October 12, was the culmination of a lawsuit brought by Alicia Boyd, leader of the local activist group Movement to Protect the People, who sued the board shortly after it voted in private to hire Martinez in the summer of 2016. At the time, some board members voiced concerns over Martinez’s job record, which included a forced retirement from the city’s Comptroller’s office for misusing city time, and close ties to ex-Assemblyman Clarence Norman Jr., for whom she worked as treasurer before his conviction for violating campaign finance laws. 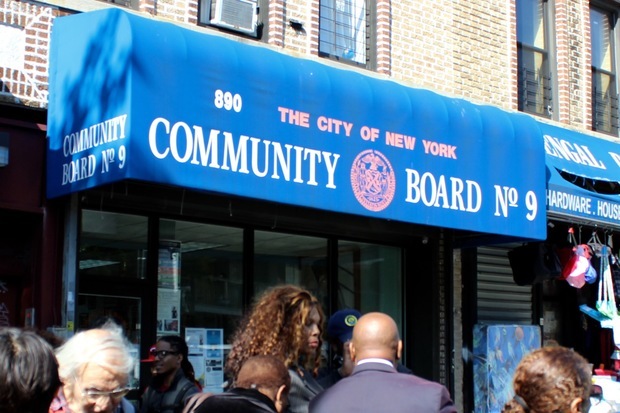 Martinez has been barred from working as district manager since Boyd filed her lawsuit more than a year ago and has instead volunteered at the CB9 office while the court case was decided. It’s unclear if she will reapply for the position; a call to Martinez was not immediately returned Wednesday. Now that lawsuit has concluded, CB9’s current chairman Musa Moore said he plans to form a new search committee in the next several weeks to redo the hunt with “full transparency,” he said. “This is open to the public. There is nothing to hide here,” Moore said, adding that the board has been without an administrator for 14 months. Boyd — a frequent thorn in the side of CB9 who has filed multiple lawsuits against the board since she founded MTOPP in 2014 — said she was happy with the judge’s decision and looking forward to the search for new candidates.